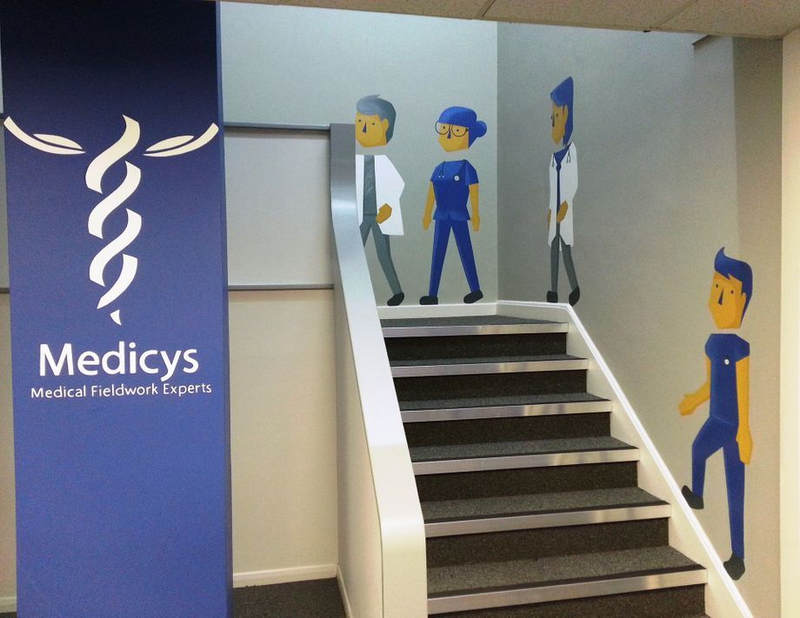 This mural was painted to extend the corporate identity of the Medicys medical fieldwork research facility in Sittingbourne. 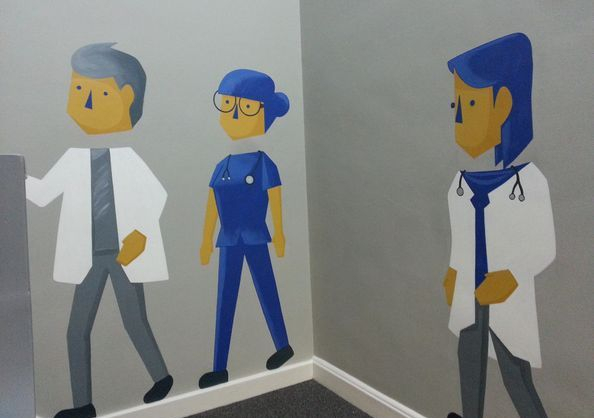 It has been painted in their lobby, so it's one of the first things visitors see and also helps to make the space more interesting. 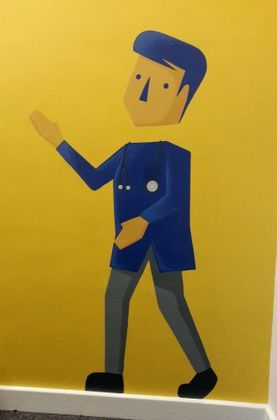 The inspiration for the characters walking up the stairs was taken from a small illustration on the client's website.